Let’s admit it – applying nail polish is not child’s play. It takes lots of patience and perseverance to finely apply your favorite nail lacquer without smudging it all over your cuticles and fingers. But it doesn’t end there. The real quest is trying to dry the polish quickly so that you can get back to tweeting and snap chatting. You flap your hands around like a maniac or blow your lungs out in an attempt to dry them. But, little did you know that the universe had other plans. 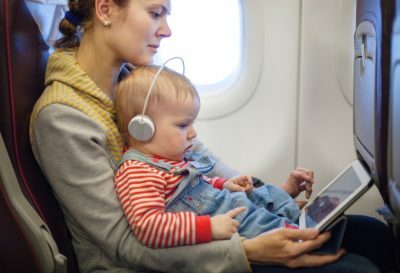 Suddenly your phone starts ringing in your bag. Forgetting about the fresh nail polish you were going to rock today, you start rummaging for your phone. Voila! Super-smudged nail polish. 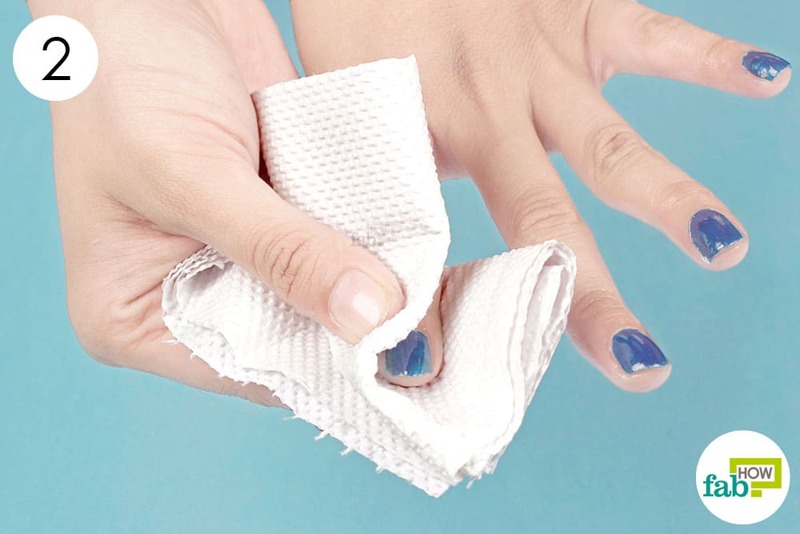 If you don’t want all the effort to go down the drain, there are some clever ways to dry that nail polish in a jiffy. Just strut around your kitchen, and you shall find the remedy waiting for you. 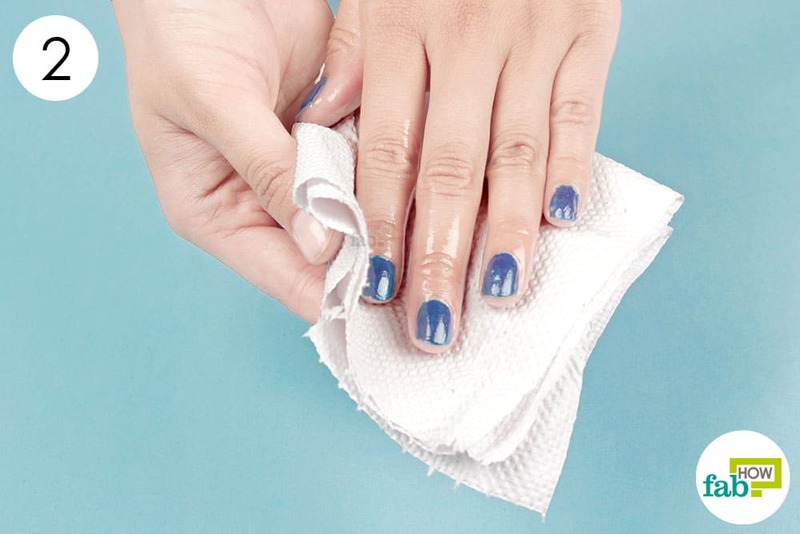 Read on to learn easy hacks to dry your nails in a few minutes. The easiest way to dry fresh nail polish is to dip your hands in ice-cold water. The cool temperature solidifies the molecules and turns your liquid nail polish solid within minutes. Fill a bowl with cold water and throw in a handful of ice cubes. Apply your nail polish as usual. Carefully dip your freshly painted nails in the bowl for 2 to 3 minutes. Try not to rub your nails against the ice, as it can smudge the polish. Remove your hands and pat dry with a towel. If you find this cumbersome, just put your hands inside your freezer for a couple of seconds. It should do the trick. Use your regular hair dryer on a cool setting to blast your nails with cold air. Do not use the heat mode, as it will keep the polish from drying. Plug in your hair dryer, so it’s ready to go. Apply your favorite shade of nail lacquer. Using the coldest setting, swirl the dryer air around your nails in small, circular motions. Maintain a 1-inch distance from your nails while doing so. 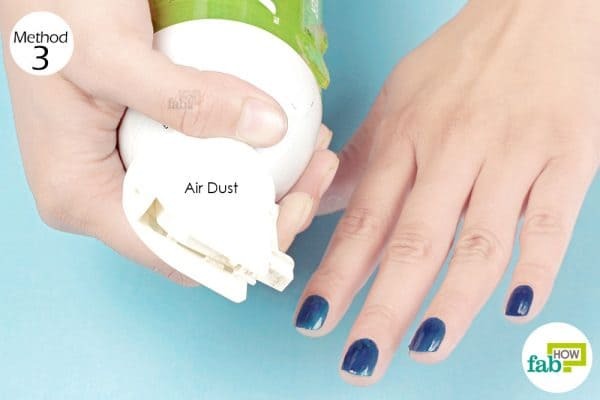 Get yourself an air duster from the drug store to dry your nails in a few minutes. These air dusters release a cooling spray with heat absorbents that efficiently dry your nails. Paint your nails as usual. Blow your nails with the air duster for about 3 to 4 minutes. Remember to hold the nozzle far enough away from your hands, as the gush of air can cause your nail polish to run. 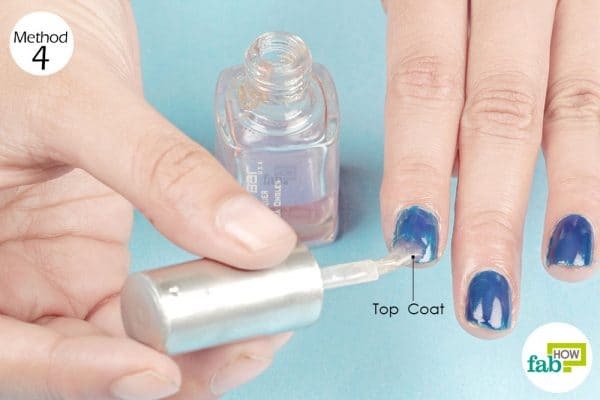 Top coats contain solvents that evaporate quickly and leave a clear, dry coat on your nails. They also help your manicure last longer by preventing your nail polish from chipping. A number of options of fast-drying top coats are available online or at your local drug store. You can try out an Insta-Dri Anti-Chip Top Coat. Apply your regular nail polish. Once you are done with 1 or 2 coats of the polish, finish off by applying a fast-drying top coat. Sounds weird, right? But it’s true. 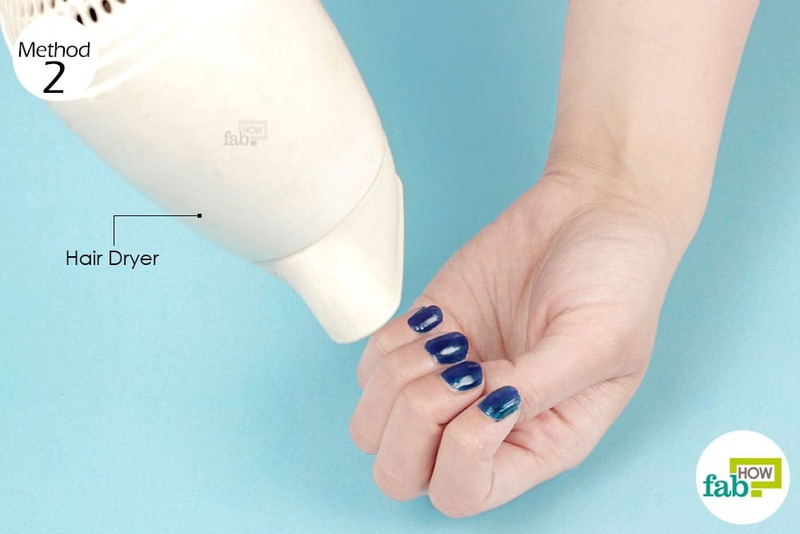 Alcohol spray can be used to dry your nail polish quickly. After applying your nail polish, use alcohol spray all over your nails. Let it sit for 1 to 2 minutes. Clean up your hands by wiping off the spray with a paper towel. Soaking your nails in oil can also help dry the nail polish. You can either use olive or sunflower oil. Apart from drying your nails, it will also leave your hands moisturized and soft. So, it’s a win-win! Put 1 cup of olive oil in a bowl. 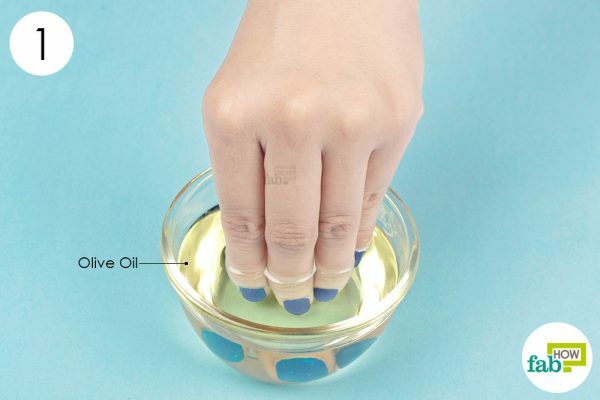 Dip your freshly painted nails in the oil for 2 minutes. Remove your nails from the oil. Wipe off the excess oil with a paper towel. Your nail polish will dry faster if you apply multiple thin coats instead of 1 or 2 thick coats. Let each layer dry for a minute before applying another coat. You can hold your hands out the window after applying nail polish to help it dry faster. You can buy quick drying drops that contain resins to speed up the drying process. Discard your nail liqueur if it has turned gooey and has begun to change color. Old nail polish takes longer to dry. You can use hair spray to dry nail polish. Just spray it on your nails from a distance. Wait for a minute, then wash it off your hands with soap and water.